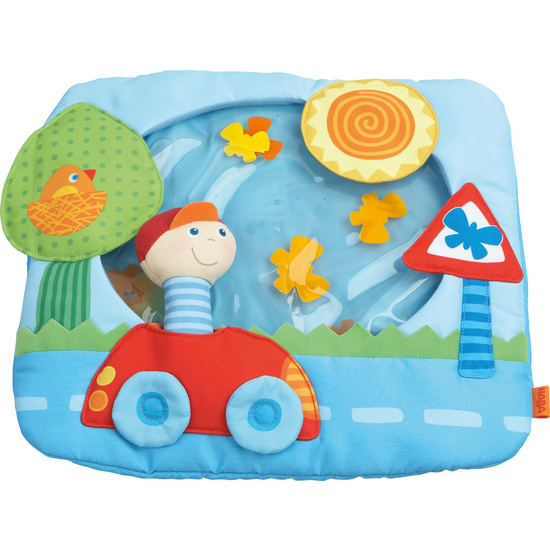 This water play mat is an adventure for all babies as they can discover all kinds of swimming items. The delightful little butterflies flutter when effortlessly pushed to and fro by hand. It’s fun and enhances motor skills in the tummy position. The water-filled mat is coated with a soft fabric cover which ensures that babies are comfortable lying down.